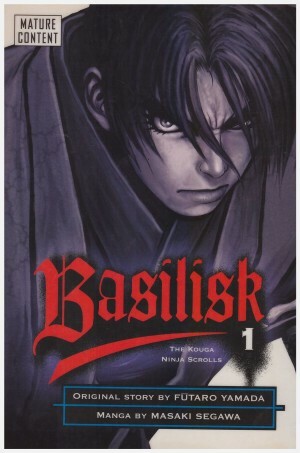 The previous Mirror of the Soul was a series highpoint, and Last Blood continues directly from the ending, with Rin still in the company of Anotsu Kagehisa, who’s a wanted man and in no condition to stave off death when it comes calling. 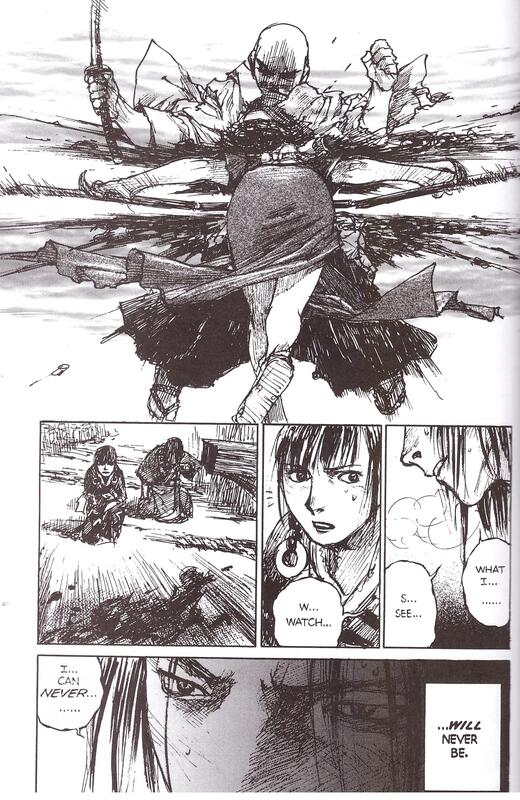 You know Last Blood’s going to be good when Hiroaki Samura sets up a real punch the air cinematic moment in throes of desperation when not even twenty pages have passed, and he follows that with a superb piece of ethical pondering regarding the justification for action. Yes, having played almost no part in the previous two books, and Samura having proved the series can be just as compelling with the immortal removed from centre stage, Manji is back. And so is Magatsu Taito. Having delivered the heavy emotional series of chapters, Samura pulls the focus back to action, constructing a fantastically paced extended fight with a knowing wink at the audience. We know exactly who’s going to emerge from this squabble alive, no matter what the numerical advantage of their foes, and the overconfidence of their opponents is employed as comedy. It’s exceptionally bloody, violent and fatal comedy, but comedy nonetheless, at least up to a point. 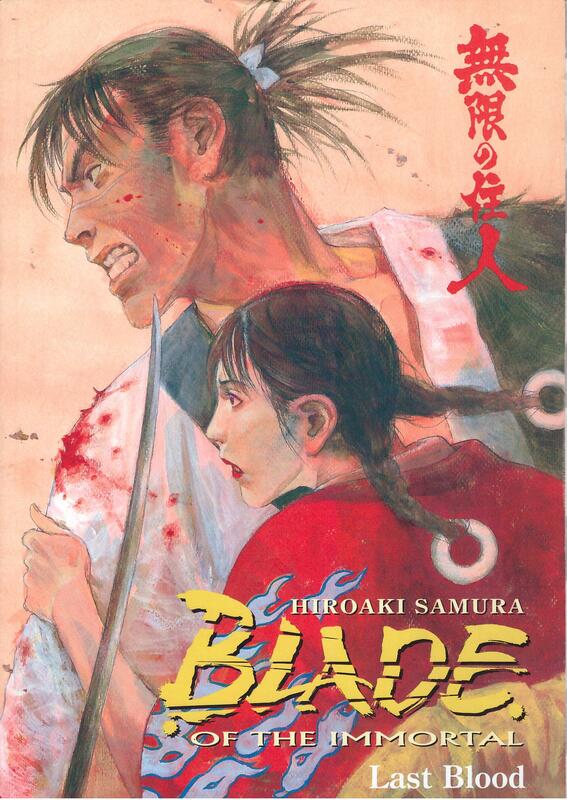 It’s also a chance for Samura to really let loose again with the action scenes he’s loved drawing since Blade of the Immortal started. There’s a balletic grace to these, particularly when another known face turns up, and the title sequence occupies two-thirds of the book. 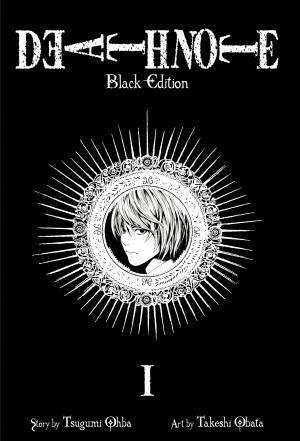 The remainder starts by revealing the significance of the banquet sequence ending Mirror of the Soul, and this requires introducing some new members of the Ittō-ryū. Does Samura come up with an interesting character design and then find a purpose for that person, or is their part in such a long-running series conceived before their introduction? Some background characters here will be rapidly seen again in larger roles. We further learn that there are those who intend to co-opt Manji, and the book ends with another spectacular fight sequence, this time with the individuality of the weapons paramount. It’s savage, brutal and compelling. 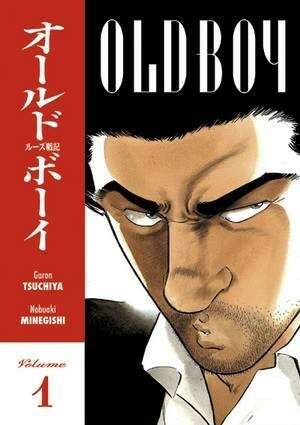 Yet the same could apply to almost any Blade of the Immortal volume. Trickster is next.